Welcome to our revamped website. We are still the same company offering you the lowest priced corporate gifts in the entire Singapore market, because of the our “Lowest Price Guarantee“. Our prices include artwork layout, graphic enhancements if needed, logo stamping, delivery to your office and are all quoted on a NETT basis without any further GST or hidden charges. As you might have heard from our other clients or Google, our product quality is top notch. Also we do not want to lose clients just for a few cents worth of differences in pricing. Have you got quotations for these items from other vendors as yet? We have a “Price Match + Extra 3% Discount” promo for all first-time clients. So if you have a lower quotation from any other vendor, just let us know and we will give you an immediate 3% discount on your lowest price obtained from your cheapest vendor. Our bosses are willing to make losses on orders for 1st time clients, to build the relationship up for the long term. USB Flash drives are our most popular premium gifts selected by our clients. We offfer 1-yr warranty on all IT products. 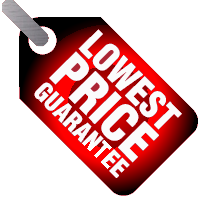 the lowest price quotation you can find from other vendors in Singapore!